I’m always looking for new tools to add to my developer’s toolbox. 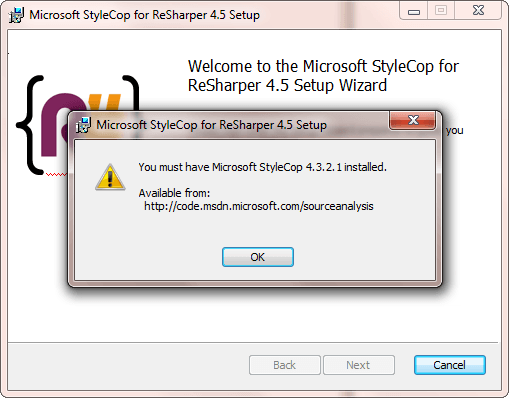 One such tool I recently came across is StyleCop for ReSharper. 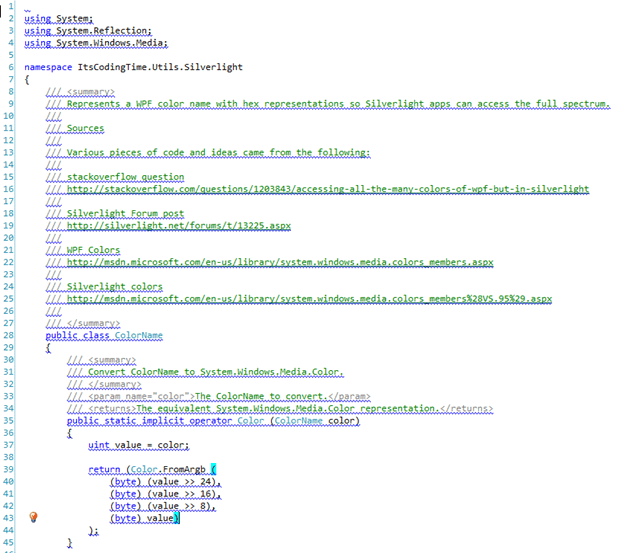 The first thing you’ll notice is that every single line has been flagged for violations! That’s kind of ridiculous. Fortunately, there’s a quick way to reduce that count by loosening up the rules a bit. The latest version of StyleCop can be downloaded here. Before we start modifying the default rules, let’s learn how to share a single StyleCop settings file across multiple solutions or projects. 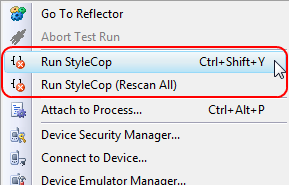 StyleCop starts looking for a Settings.StyleCop rules or settings file in the project’s local folder first. Regardless of whether it finds one or not, it works up the folder tree, looking for other copies of the file. Once it reaches the top of the chain, it goes back to the default install folder where there should always be a the global version of the file. 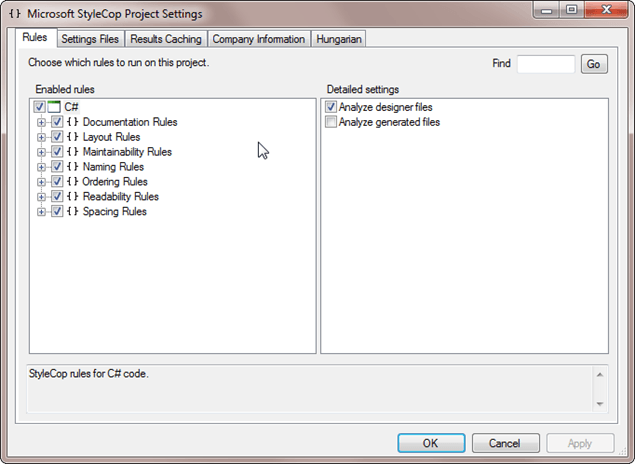 It is possible to override the global settings by placing a copy of Settings.StyleCop in the local solution or project file. Also, you can have global settings which are overridden by solution-level settings which in turn might be overridden by project-level settings. All depends on how granular you want to get with your rules. Personally, I only maintain a single Settings.StyleCop file for all of my projects and solutions by putting the file at the development root (d:dev). If you expand the “Enabled rules” nodes you’ll see all sorts of rules that you can turn off. Here is the list of rules that I operate without. I’ll add to this list as I get further into StyleCop’s rule set. In general, I’m trying to adhere to the rules as given, but some of them are just a bit too nitpicky for my tastes. SA1000 KeywordsMustBeSpacedCorrectly This rule is telling me my choice of spacing around, for example, the keyword ‘typeof’ is not right. “Not right”, in this case, is in conflict to my standard formatting rules, so this one is out. SA1008 OpeningParenthesisMustBeSpacedCorrectly This rule seems to dictate no spaces between, say, a method name and an opening parenthesis. I like have a single space between such things, so this one stays off. SA1027 TabsMustNotBeUsed Ah, yeah. I don’t like spaces. I use tabs. SA1101 PrefixLocalCallsWithThis In my mind, the “this” keyword is implied by its absence, and I generally do not use it unless there is some naming conflict present otherwise. SA1309 FieldNamesMustNotBeginWithUnderscore This is in exact conflict with the style guide I use, which advocates using an underscore as the prefix on private variables. SA1502 ElementMustNotBeOnSingleLine There are times, for example for a getter/setter property definition, where you might want everyting on one line, including the curly braces. This ones gets turned off. SA1503 CurlyBracketsMustNotBeOmitted I think this goes a bit too far. There are times where, for readability if nothing else, it’s OK to omit the curly braces. SA1512 SingleLineCommentMustNotBeFollowedByBlankLine Another one that is a bit too nitpicky. I’m happy just having comments in the code. Who cares about blank lines? SA1515 SingleLineCommentMustBePrecededByBlankLine Same reasoning as SA1512. SA1124 DoNotUseRegions I hate regions. Nuff’ said. Still have some work to do, but at least it’s a bit more manageable and realistic. I’ve covered some of the basics of setting up a continuous integration system thus far: how I set up my development project folders and the general workflow of my CI environment. Now, I’d like to start getting the CI server setup with a run through what I consider baseline software for a build server. In order of installation, here are the “core” pieces of software installed on my CI build server (which runs Windows Server 2003). I consider these core because they’re really the absolute minimum you can get by with in a CI environment. See my post on installing Visual SVN/TortoiseSVN. CC.NET is, of course, the core of many CI environments. It’s the CI workflow engine, coordinating and firing off the necessary events to build source, run unit tests, etc. I’ll delve into configuring CC.NET in my next post in this series. CC.NET has an extensible plug-in architecture. 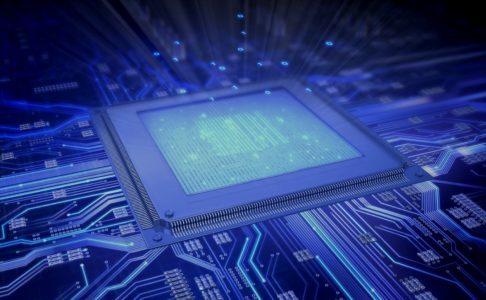 I have leaned on others’ work for plug-in’s to retrieve source from TFS or VSS, and have written my own to handle version updating (check out assemblyinfo.cs, update assembly version, check-in). I’ll detail each of these as part of configuring CruiseControl.NET. Why do I install Visual Studio on my build machine? There was a time when MSBuild (which comes with .NET; look in “WindowsMicrosoft.NETFrameworkv3.5”) would not build setup (.vdproj) projects. Unless this has changed, Visual Studio is required to build setup projects. I sometimes have to load up a project and do a build as I would on my development machine, sometimes just for sanity’s sake. While I don’t do development tasks on my build machine, having Visual Studio on there is a huge timesaver when things get a little screwy. Visual Studio Team ExplorerIf you’re using TFS for source control (like we do at my place of employment), you’ll also want the TFS Explorer component. One nice thing about TFS and SVN is that they seem to play well with each other, or at least they stay out of each other’s way. 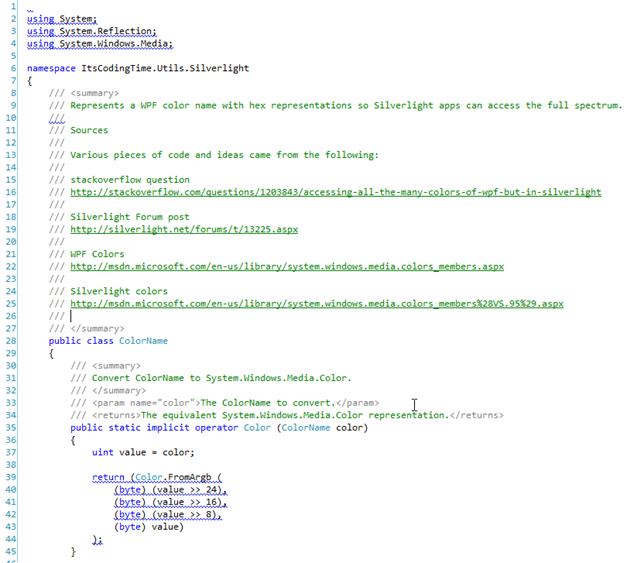 If you’re going to build Silverlight projects, you probably want the latest Silverlight Tools for Visual Studio. The alternative is having to pull dll’s from the default install folder and putting them into a project or solution specific imports folder. These are key pieces of software, not necessarily ‘core’, but very nearly as important because of the functionality they provide. Any good CI environment isn’t complete without at least some of them. I use the free version that comes with TestDriven.NET. Not necessary for CI, but helps with debugging unit tests (which, as stated above under Visual Studio, is sometimes a necessity or at least a timesaver). My command-line zip utility of choice. Sometimes you need to compare two files or a set of directories. This is one of the best comparison tools out there. Those are the components and utilities I use as a baseline on my CI server. Next couple of posts I’ll take a look at some custom CC.NET plug-in’s I use as part of my CI process. Before I actually start configuring my CI server I first wanted to present the general workflow my CI process follows. With the CI environment (server) up and running, the initial action is always a developer checking in source. From there, the CI process is completely automated up until we either hit an error or complete successfully. On success, the output is, of course, a release candidate set of files. I generally produce many release candidates, but just because the CI environment has produced one doesn’t mean I’m going to do a production release. But I always have confidence that I could deploy a particular release candidate because I know it has gone through my unit and integration testing wringer and come out squeaky clean.